PEO Ammunition, ARDEC and the Army Rapid Capabilities Office come together at Picatinny Arsenal with near-term plans for improving long-range precision fires. Of the Army’s “big six” priorities driving its new modernization strategy, long-range precision fires is at the top of the list. The ability to execute accurate strikes at significant distances is critical to ground operations in any theater, against any adversary—especially a near-peer threat that can restrict U.S. maneuver through anti-access and area denial systems and techniques. Now, the experts at Picatinny Arsenal, known as the Army’s Center of Excellence for Guns and Ammunition, and the Army Rapid Capabilities Office (RCO), which is the service’s acquisition shop for quickly addressing critical capability gaps, have joined forces to deliver a suite of technologies that can extend the range of cannon artillery and are mature enough for a system-level assessment in less than three years. This effort, termed the long-range cannon project, focuses on a specific subset of fires capability and is complementary to the broader initiatives pursued by the new long-range precision fires cross-functional team. The project’s objective is to assess long-range cannon capability by rapidly prototyping and equipping an artillery battery with the M777 Extended Range (M777ER) howitzer, a new projectile tracking system, survey device and rocket-assisted projectile in under three years. If successful, the long-range cannon will nearly double the range of cannon artillery for the Army and Marine Corps, thus providing an interim solution that bridges a critical capability gap while informing the development of future long-range precision fires systems. The RCO is a key participant in the long-range cannon effort. The RCO executes rapid prototyping and acquisition to deliver urgently needed capabilities to the field, bridging strategic gaps against rapidly modernizing adversaries. Since its founding in August 2016, the RCO had focused primarily on expediting electronic warfare and position, navigation and timing systems to address operational needs. However, in February 2018, Army Chief of Staff Gen. Mark A. Milley elected to prioritize long-range cannon among all RCO efforts. The Project Manager for Towed Artillery Systems (PM TAS), part of the Program Executive Office (PEO) for Ammunition, and the Army and Marine Corps center of excellence for cannon artillery took on the lead integrator role for the long-range cannon project, with RCO providing oversight. This organizational model may carry over to similar efforts in the future, especially as the RCO branches out beyond its initial focus areas to take on projects of increasing scope. The mature products that the RCO is interested in adapting, accelerating and fielding vary as to their position in the acquisition life cycle. Some are poised to become programs of record in their own right, while others exist only as science and technology demonstrator projects. This spectrum of capability is reflected in the components of the long-range cannon project. PM TAS manages the M777A2 howitzer, a combat-proven artillery system in use by the U.S. Army, the U.S. Marine Corps, and the Australian and Canadian militaries. Through a close-knit partnership with U.S. Army Armament Research, Development and Engineering Center (ARDEC) engineers at Picatinny Arsenal and Benét Laboratories in Watervliet, New York, the PM TAS team developed an extended-range variant, the M777ER, which has only five major components requiring modification. The cost to retrofit an M777 is comparable to that of a standard depot reset, and the weight increase is minor. With few changes to the howitzer’s operation, it offers the warfighter enhanced lethality at a cost the Army can afford. The Projectile Tracking System Radar began in ARDEC as an element of the now-defunct Crusader and Non-Line-of-Sight Cannon projects. It provides enhanced accuracy and new capabilities for artillery. By tracking projectiles in flight, it predicts an impact point, allowing the fire control system to make corrections for subsequent shots. Circular error probable, an inverse measure of artillery accuracy, decreases substantially. The Projectile Tracking System can also communicate with a round in flight. 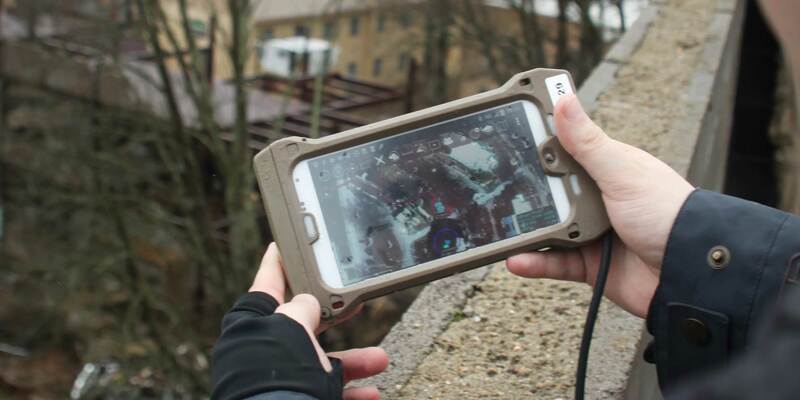 The Location and Azimuth Determining System (LADS) program serves as a single survey device replacement for two systems: the Improved Position and Azimuth Determining System and the Gun Laying and Position System. Already under development, the LADS will enable survey teams to register more accurate survey control points in a smaller form factor. 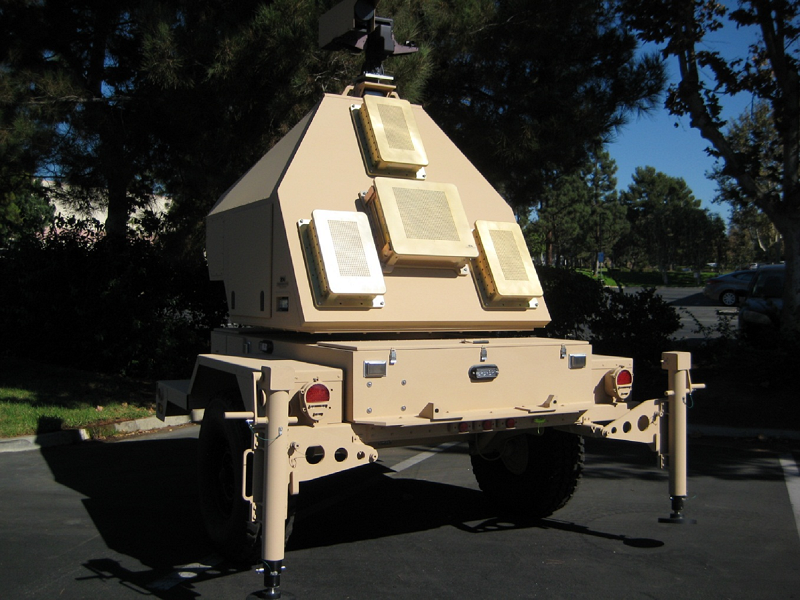 Soldiers and Marines can use the man-portable LADS in a wider variety of conditions than the vehicle-based Improved Position and Azimuth Determining System. Another program in advanced stages of development before its inclusion in the long-range cannon project is the XM1113 rocket-assisted projectile. As a replacement for the M549A1 rocket-assisted projectile round in inventory today, the new projectile can be fuzed with a Precision Guidance Kit for improved accuracy. The XM1113 will provide a range increase in this class of projectiles with legacy artillery systems and offer an even greater capability with the M777ER armament. The PM for Combat Ammunition Systems is taking the lead on the XM1113, making it an integral part of the projectile and propellant work on the long-range cannon project. The RCO developed the idea to integrate these capabilities, some already with a distinct strategy or funded by another source, into the overarching project. This integration will provide not only the basis for an operational assessment but also the potential to assess other cross-functional team initiatives related to extended-range cannon artillery, thereby reducing risk for the cross-functional team. 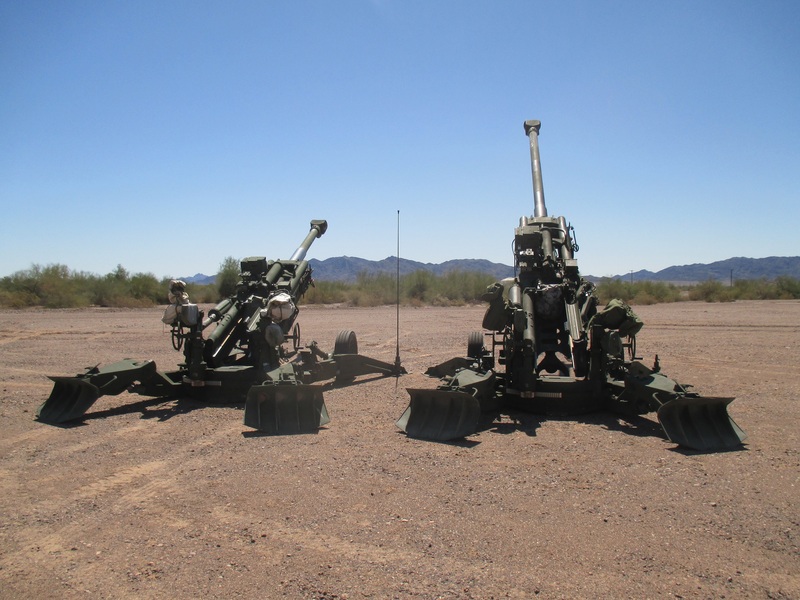 In the case of the M777ER howitzer, the long-range cannon project is the primary focus, but the operational assessment will add value for the other products by generating additional feedback on their individual capabilities. The project and its emerging organization benefit from the relationships that PM TAS and the Picatinny Arsenal team already have with industry partners and the government arsenals. Today’s acquisition reform efforts seek to mitigate the sources of program delays, including contracting lead times and challenges in beginning new relationships with vendors. The initial long-range cannon acquisition strategy avoids these pitfalls through a combination of innovative acquisition strategies and government prototyping capability. Government arsenals—including those in Rock Island, Illinois, and Watervliet—will manufacture several M777ER components. Final integration will leverage government-operated facilities. The arsenals and depots offer funding flexibility, enabling program managers to re-prioritize resources faster than in a commercial contracting environment. Additionally, existing contracting vehicles will provide an efficient means to execute delivery orders for prototype components. Rapid prototyping and procurement of usable equipment for the operational assessment may also employ other transaction authority (OTA) agreements. One OTA-focused organization, the Department of Defense Ordnance Technology Consortium (DOTC), originated at Picatinny Arsenal as a partnership between DOD and the National Armaments Consortium. Operating outside of typical Federal Acquisition Regulation norms, DOTC contracts use a faster single-point contracting process for prototyping and research and development. The long-range cannon project’s schedule fits between the acquisition of commercial off-the-shelf items in under a year and traditional program schedules, as law and regulation still dictate numerous requirements before a materiel release. The planned operational assessment will address many of these requirements. The project team continues to plan the scope and details of the operational assessment. The assessment will be warfighter-focused but will include evaluation tasks typical of an urgent materiel release. It will try to answer a fundamental question: Will the long-range cannon system, first envisioned sitting around a table at Picatinny Arsenal, meet the urgent needs of combatant commanders? The RCO is focused on operational engineering, the gist of which is that allowing Soldiers to interact with the system under development sooner in its life cycle will get the system to technical maturity more efficiently. Instead of delivering the final product, only to find that users are dissatisfied, operational engineering seeks user feedback early and often. In line with this focus, the assessment will look not only at the materiel solutions offered but also at how operators employ them in the field. The user is the best evaluator. The event also will offer the field artillery community an opportunity to learn how its force structure and doctrine could adapt to the new capability. As the Army’s enhanced long-range precision fires capabilities continue to emerge, this interim long-range cannon system may illuminate challenges and offer solutions for the way in which forward observers communicate with artillery firing batteries. Questions include: How does this new capability affect maneuver force planning? How must the architecture of cannon-delivered indirect fires and the fire direction center adapt to the ability to shoot farther? Before the Army delivers the major long-range precision fires systems under development, the long-range cannon project offers this interim solution to help the operating forces prepare to face near-peer threats. The project’s innovative technical and organizational approach and the teaming across distinct organizations will provide flexibility and valuable feedback to stakeholders. The rapid development and integration of this affordable system offers Soldiers and Marines a powerful tool as they stand ready against our adversaries. CAPT. STEVE DRAHEIM serves as the M777 assistant product manager for PEO Ammunition’s PM TAS at Picatinny Arsenal, New Jersey. He is pursuing an M.A. in procurement and acquisition management and holds a B.S. in kinesiology from the College of William & Mary. He is Level I certified in program management. MAJ. PAUL SANTAMARIA serves as the deputy director of acquisition for the Army RCO at Fort Belvoir, Virginia. He holds an MBA in systems acquisition management from the Naval Postgraduate School and a BBA in management information systems from Loyola University Maryland. He is Level III certified in program management and is a member of the Army Acquisition Corps. This article will be published in the July – September 2018 issue of Army AL&T magazine.